Lil and Danvers: kindred spirits. 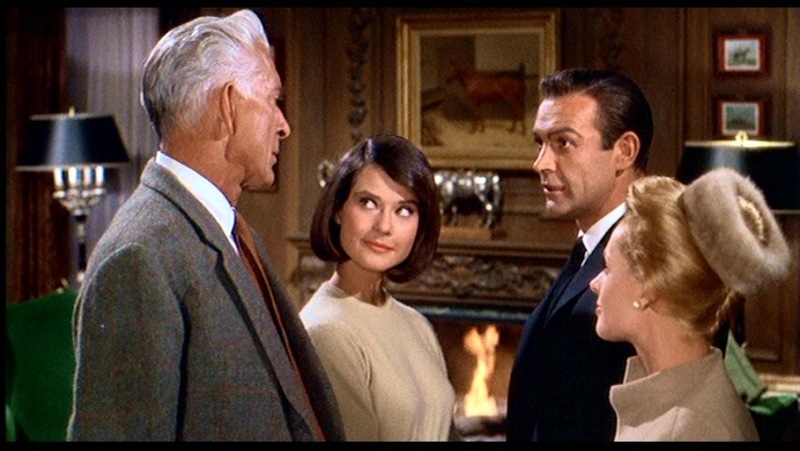 After their whirlwind honeymoon, which echoes the one in Rebecca, Mark Rutland (Sean Connery) brings his bride, Marnie (Tippi Hedren), home and assembles its inhabitants, introducing them to her one by one. The scene is very reminiscent if Mrs. DeWinter's debut at Manderley. Like the second Mrs. DeWinter (Joan Fontaine) , Marnie is ill-at-ease and outclassed in her new home at the Rutland estate. As in Rebecca, the Rutlands throw a party, which ends in disaster. Both of those parties are supposed to be occasions to introduce the new bride as a fresh start, but instead they demonstrate that these women are plagued by the past. 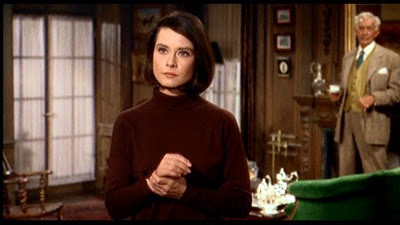 Lil's hostility (as oozed by the delicious Diane Baker)* toward Marnie is reminds me of the hostility Mrs. Danvers exhibited toward the new Mrs. DeWinter. 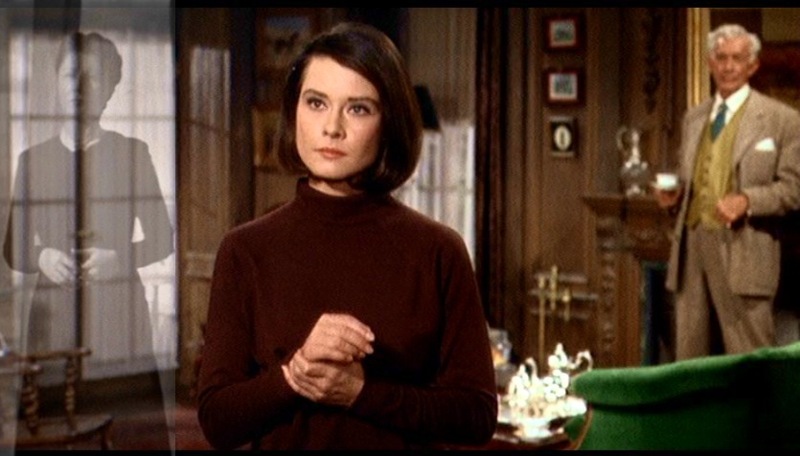 In a scene cut from the final script, Lil tells Marnie in no uncertain terms that she doesn't belong there and that she should go away. After the fox hunt, Marnie asks her "aren't you through killing yet?" Mark's father is like Maxim's butler: congenial, helpful and, as T. S. Eliot wrote, "a bit obtuse." Like Maxim's first marriage, Mark's marriage was beset with intense conflict almost from the get-go. Both men are dogged by the memory of these former wives and are eager to move on. Maxim was only too glad to be rid of the things that reminded him of Rebecca. Likewise, when the first Mrs. Rutland's pre-Columbian statuette shatters during a thunderstorm, he says, callously, "we all have to go sometime." Marnie says, "It's all you had left of your wife," but Mark corrects her saying, "No, I said it was all I had left that belonged to my wife." Later, at the party, Mark was willing to sully his first wife's memory by intimating that he'd been seeing Marnie before she died. Like Rebecca DeWinter, Mark's first wife knew she was going to die one year before anyone else knew. Well, there you go. Curious similarities, eh? *Why do I like Hitchcock's brunettes more than his blondes? Is it a Ginger vs, Mary Ann thing? Very interesting comparisan - I remember the movie "Rebecca" well but I have to say the lead actress in that left me with little impression, unlike Tippi as Marnie. 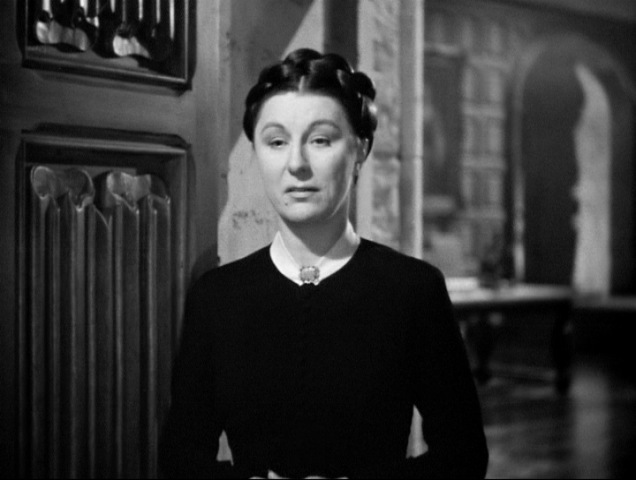 Mrs Danvers stole the movie though, for me. 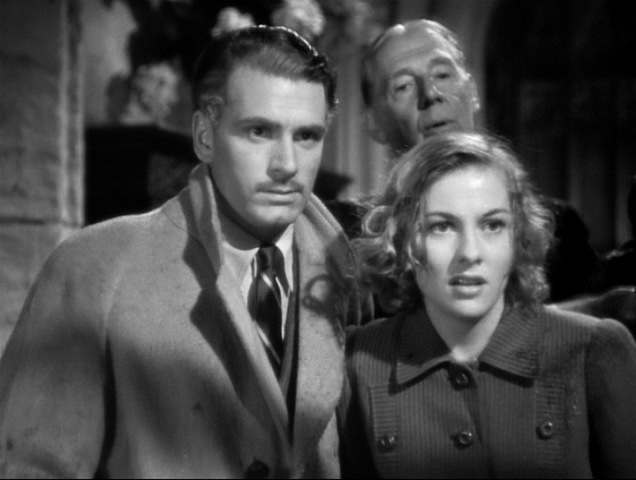 Yep, Joan Fontaine was deliberately downplayed... but she did get an Oscar for her role! Watched "Rebecca" again - see exactly what you mean!! This time I enjoyed Joan's performance more. Funny how 20 yrs between viewings of movies can bring a different appreciation. Have a good Christmas.